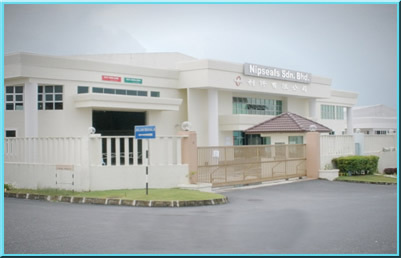 At Nipseals Sdn. Bhd, we believe that the most important asset in any success world class standard organization is the Customers and the Company themselves must form the understanding and link a partnership to build the trust and confidence. Hence you understand the importance of nurturing as well as developing Company’s employee to be Customer’s oriental with Customer’s trust & confidence. With more than 30 years in the market of sealing technology & solution, we understand the Customer’s need and assist their requirements with proven results the reduction of their down time. With Trust & Confidence,the born of Partnership will able us to serve the Customers better and cost saving for their Management. downtime and maximum productivity.To measure at site and custom tailored made with our latest laser cut technology machine to guarantee suit their requirements within the day. To build a long term ‘PARTNERSHIP’ with our Customers in the Market. To provide our Customers the right Quality products. To provide technical support to our customers. To solve and assist any sealing problems and enquiry requirement with right application for Customers. To provide solution & technology expertise. To assist our Customers with minimum downtime and maximum productivity. To assist Customers & Companies with minimum maintenance cost saving. To provide & service Customers at site measurement. To serve our Customers and feedback for improvement. To build the Trust & Confidence of Customers. To present alertness, awareness and safety of our products & material end-users as part of our ISO 9001/14001 objectives. We have more than twenty (20) staffs to serve your need.Consist of The Management, Sr. Managers, Executives, Engineer, Technician, IT, Sales & Marketing (In-door & Out-door), Draftsman, Quality controller, Production manpower, Store, Admin, HR, Account, Customer service and Delivery. All our staffs are undergo technical & workman training programmes (On going & updating). Staffs are also trained by Product & Technical Principals. Quality control is priority for staff. They are trained to be Customers Orientated.We are ISO 9001 & 14001 certified Company.